Review: Smersh was the New Jersey duo Mike Mangino and Chris Shepard, who started out in the late 1970s. By 1981, their improvised live jams had already produced countless recordings and the duo began releasing cassettes via their own Atlas King label. 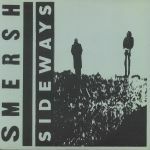 Smersh developed a devoted following in places far beyond their native Piscataway, N.J. as their tapes made their way across the world and led to releases on dozens of other labels internationally. 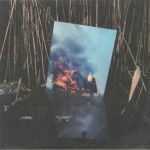 Josh Cheon & Co. describe the pair's sound as 'a lush hybrid of techno, industrial, dance, and experimental' although "Sideways" is an 18 minute long epic that dwells on the border between acid techno and breakneck electro in our opinion. There's a couple of modern reshapes too that are worth mentioning: James T Cotton's rave rendition injects some Amen breakbeats into it and comes off sounding like early U.R. circa '92. After all, he is from Detroit himself and would have lived through the period. He then dons the Charles Manier alias once again for an early EBM styled remix which was the winner for us.